The are a lot of strange mysteries in hip hop that I'll never understand and one of them is why Erick Sermon's name never seems to come up when we're talking about the dopest producers! I mean, this dude's production discography is BONKERS! He has 4 classic EPMD albums under his belt (even tho Biz claims he really produced "Strictly Business" as well as Parrish saying they both made all of the EPMD beats together but I'm rocking with E cause I've never heard anything that P or Biz produced that even comes close to what E has done), 2 classic Redman albums, 2 dope solo albums, 2 dope Keith Murray albums and a ton of ill remixes and beats in between. So can anyone REALLY front of the green eyed bandit? Naw...ya'll can't. 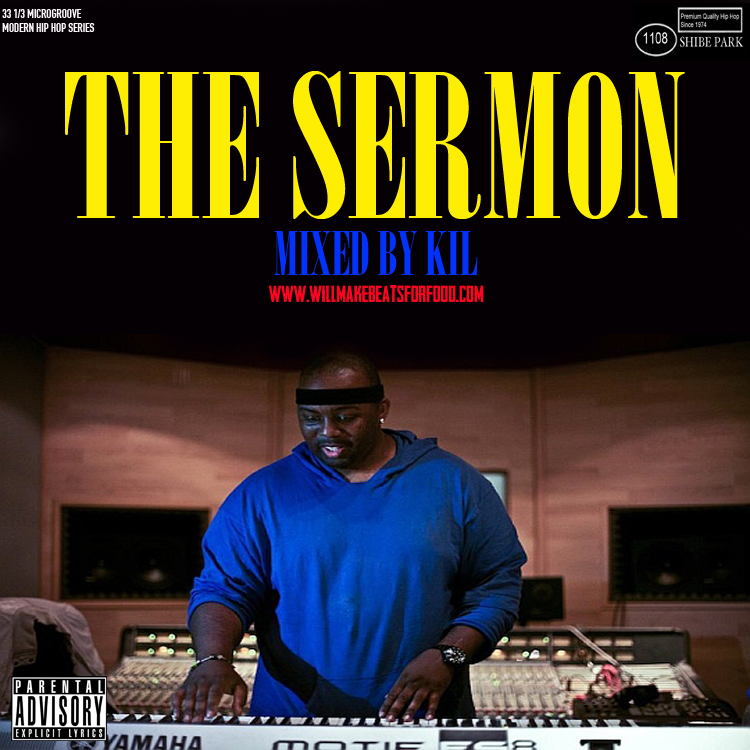 But just in case there's some folk out there who just don't get it, bang out to my "The Sermon" mixtape & bet money ya'll will get it when you're done!